Whether it comes to art, antique furniture, or sensitive electronics, to choose the right shipping company is very important. The good news is that there are many reliable shipping and packing companies in NYC, specializing in shipping fine art and other valuable and expensive items. As you already know, Fine Art Shippers is one of them, and we pride ourselves on providing premium quality art moving services in New York and across the United States. Moreover, we can also ship freight of high value internationally, which makes our team an ideal choice for everyone looking for a professional art moving company operating worldwide. It is needless to say that Fine Art Shippers is not the only trustworthy company in NYC. 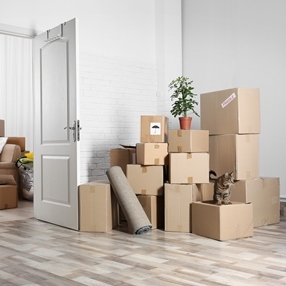 In our previous blog posts, we wrote about several other shipping and packing companies you can entrust with moving your precious possessions both locally and across the country. However, now we want to tell you about one more team of trained movers you should also consider when making a choice. We are now talking about Arthur Werner Moving & Storage, one of the best shipping and packing companies in NYC. Just like Fine Art Shippers, Arthur Werner Moving & Storage, Inc. is a family-owned company based in New York City. You can easily recognize this reputable team of movers by their beautiful red trucks, all equipped with air ride suspension. It is also worth noting that Arthur Werner Moving & Storage has a long history dating back to 1910, making it one of the most referred shipping and packing companies in the Tri-State Area, which additionally provides comprehensive storage services in secure warehouses located in New York and Connecticut. It is impossible not to mention that Arthur Werner Moving & Storage, Inc. offers a unique program aimed at reducing the amount of waste produced during the move. This program known as Moving Green is all about using 100% recyclable corrugated plastic boxes and containers, which allows the company to reduce up to 90% of waste generated by the moving process. As a result, Arthur Werner Moving & Storage is not only one of the most reliable shipping and packing companies in NYC but also one of the most environmentally friendly. Now that you know what shipping and packing companies are the best in NYC, you can make an informed decision. Whether you choose Fine Art Shippers or Arthur Werner Moving & Storage, you precious possessions are guaranteed to arrive at their destination safe and sound!